From console to virtual reality, managing a Kubernetes cluster in VR. 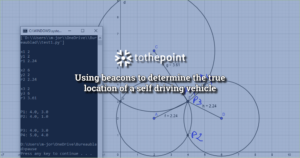 In this blog post I will tell you a little story of how I became a proud member of the ToThePoint family, some might say it was coincidence or luck but that’s too easy of an explanation. It all started during a small info session at school. We received all the whats and hows about our future internships and later that day were given the chance to meet up with some of the companies looking for passionate interns. We were given a list of all companies attending and off we went to explore. We talked with some, exchanged information with others but we didn’t really find a place that really stood out, a place that yelled ‘You better choose us or you are going to miss out on a fantastic experience!’. After standing around for a while, not really knowing what to do with our list, a young guy approached us, taller fellow, long blonde dreadlocks tied in a bun. This turned out to be Janosh, one of the Pointers and a previous intern at ToThePoint. He told us, not so much about the company but about his experience doing his internship there. Just listening to him talk with so much passion about what he created, what he was able to create thanks to ToThePoint, gave us the impression that this was the place to be, the place that breathed exactly what I was looking for. Fast forward a few weeks and there we were, having our first talk with Steven and our mentor to be, Ken, about our internship at ToThePoint. One big question still remained unanswered though, what was going to be our project? We had a couple of options, but the one that stood out the most, the one that Steven and Ken were the most excited about was “Kubernetes in VR”. It sounded as a simple statement, a concept, and that’s what it was to begin with, just an idea they came up with. There were no specifics, no requirements, no limitations really and that’s what they were going for, an internship with more freedom than usual. 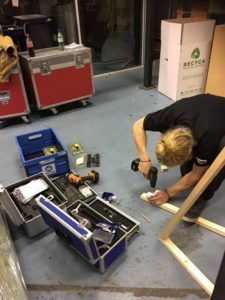 We got to choose the frameworks, the technologies, software, hardware, you name it, it was really quite the experience, usually with assignments you get all requirements up front but this time it was up to us to experiment with everything and find the best fit for our solution. 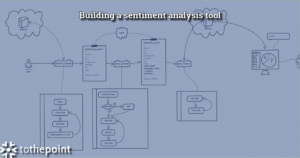 This methodology turned out to be the core of the ToThePoint mentality, no limitations like most technology-specific companies. We simply look for the best of the best, suiting the needs of our clients. 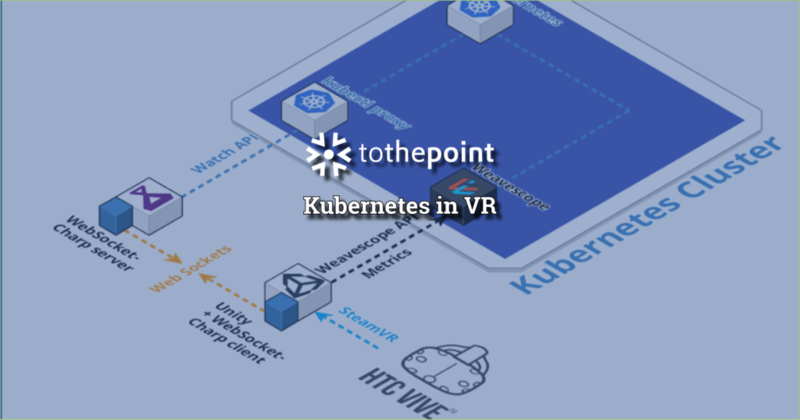 We started with zero knowledge of Kubernetes, only the basics of VR developments and the support of everyone around us at ToThePoint. And so our journey began, a journey I will never forget. We started off with learning more about this mysterious thing called Kubernetes, explained with joy by the local expert Johan, or as we called him: The Kubernetes King (the title of God is of course reserved for mister Hightower himself). He used this simple presentation, “A Children’s Guide to Kubernetes”, it looked silly at first but the key lied in its simplicity, with a funny story about a lonely giraffe on a vast ocean representing a small application in a big world and that world needed some order or management. This is where Docker came into play and with that Kubernetes. So, we learned about Kubernetes, what it does, what you can do with it and how you do it. The how is mostly inside a console and we were given the task to turn boring console commands into a flashy VR experience keeping user experience in mind of course. To experiment with all things VR we used a game engine called Unity, it came with a lot of VR support, documentation, example projects, and a lot of other assets. 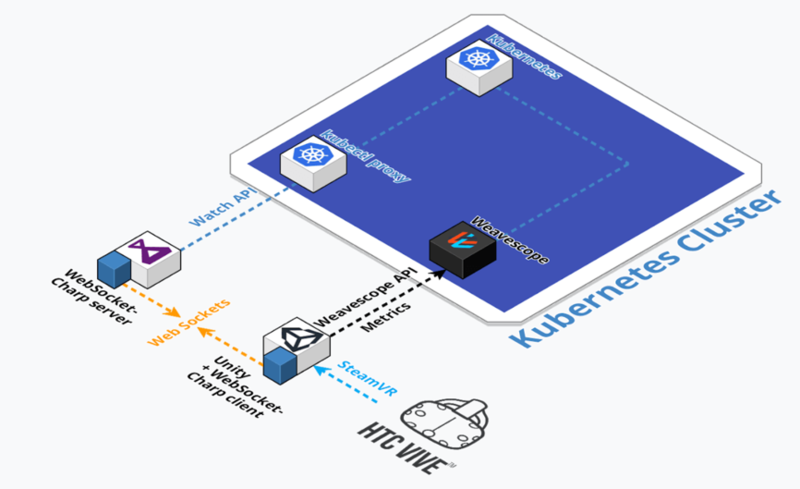 The first step was building the world our Kubernetes Cluster was going to live in, we went for a sci-fi looking, spherical chamber with a platform in its center (yes, we kind of stole this idea from X-men but hey it looks cool). The first real working version of our application was something simple and was playable with a smartphone and a headset like Google Cardboard. You just slid your phone into the socket, put on the headset and off you went into our VR world. 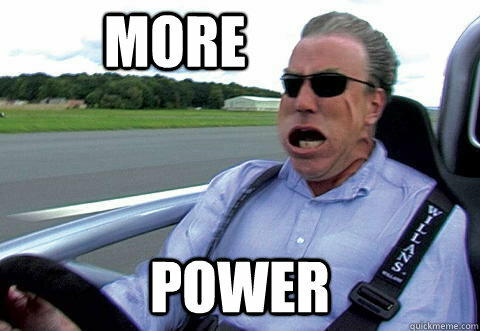 We quickly noticed that we were going to need more power to build and run our application, the laptops we brought ourselves weren’t made for more advanced game development. 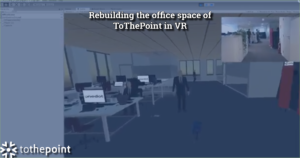 And so the people at ToThePoint provided us with a budget to build our very own computer, we looked for parts, found the best fit for VR development and gaming, ordered them and built it from scratch. Looking back upon this awesome experience I really couldn’t be more grateful to everyone at ToThePoint. They gave us the time and space to express ourselves and provided the means to do exactly that and we did. Finishing this project was the greatest feeling ever and now here I am, almost a year later, not as an intern but as a Pointer myself writing about my past experience. It almost feels like I am there again. Thanks for reading fellas, see you in the next one. Cheers!